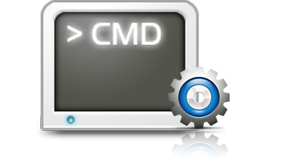 PDFPrint Command Line is a MS-DOS based tool for printing PDF to printers or virtual printers. This command line based program can be easily called by another application or script, and it is helpful for processing plenty of PDF documents. Memory: at least 64 MB. CPU: at least 100 MHz. Operating System: Windows 98/ME/NT/2000/XP/2003/Vista/2008/7/8/10 and later systems, both 32 and 64-bit. PDFPrint Command Line can directly send PDF pages to printers and render them as exactly what they are. You need not open the PDF documents to print them. So, with PDFPrint Command Line, you need not install any PDF reader software in your system. PDFPrint Command Line is based on MS-DOS interface, which is really helpful for manually controlling printing jobs. It is simple to call this application by a script for manual control or batch process. You can also build this command line tool into your developed application and accomplish printing tasks easily. PDFPrint Command Line supports most of frequently used printer parameters. You can control the printing page range, specify a printer, call the advanced options dialog of printer, set the printing copies, rescale page size, add watermarks, etc., with setting the options of the application. No need for third-party PDF reader software. Support unattended and batch operation. Support printing owner password protected PDF. Support newest version of PDF format. Activate advanced printer setting dialog of printer. Specify target printer with printer name. Set target paper types and paper size. Switch between color and monochrome printing. Specify both horizontal and vertical page offset. Option to call a PDF viewer application to print PDF. Convert PDF to raster image before printing (helpful for old printer drivers). Preprocess PDF before printing (helpful for printing damaged PDF). Merge multiple printing jobs to one. Get a list of all printers in current system. Get a list of printer bins of specified printer. Supports http, https and ftp data streams. In addition, VeryPDF offers a Software Development Kit, PDFPrint SDK, for developers. Developers can use this SDK package under a proper license. To get this SDK package, please go to the Try and Buy page of PDFPrint Command Line.